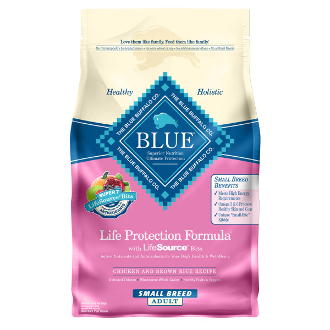 This Chicken & Rice Formula is specifically formulated for small breed dogs. Hearty whole grains like brown rice, barley and oats supply the complex carbohydrates that your small breed dog needs for energy. Essential amino acids and antioxidants support your dog's overall health and well-being.